1. 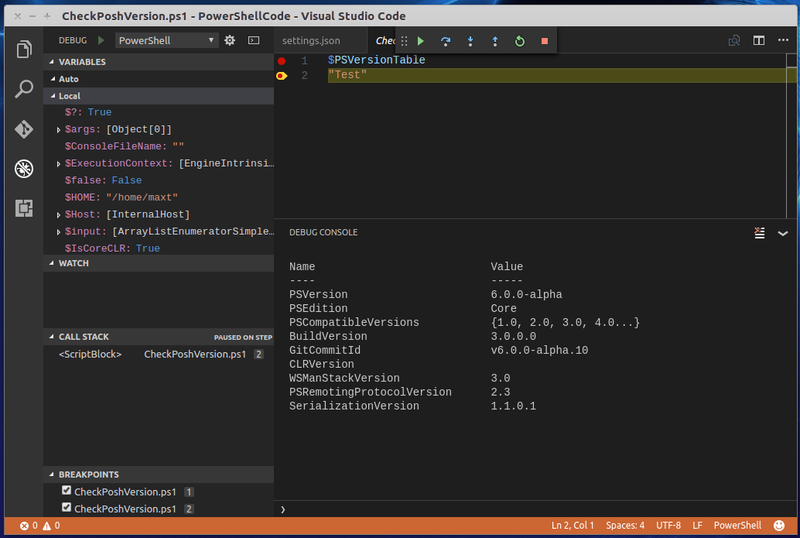 VS Code – PowerShell Extension and Debug feature. 2. 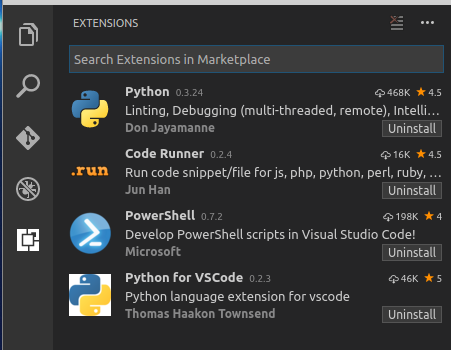 VS Code – Code Runner Extensions for PowerShell. 3. VS Code – Terminal session. In below image, we are installing Python Extensions. In Linux, having Python installed will be of great benefit. These are a most-to-have extensions to work with PowerShell. We are going to use the Debug feature. By the default, in Windows OS, it will execute Windows PowerShell ver 5.x. In Linux, it will run the PowerShell Open Source. Keep in mind, I’m on a Linux system. So, you’ll ended up with two *.json files in your script folder. Then, you can customized these file to work with your script code when it gets debug.